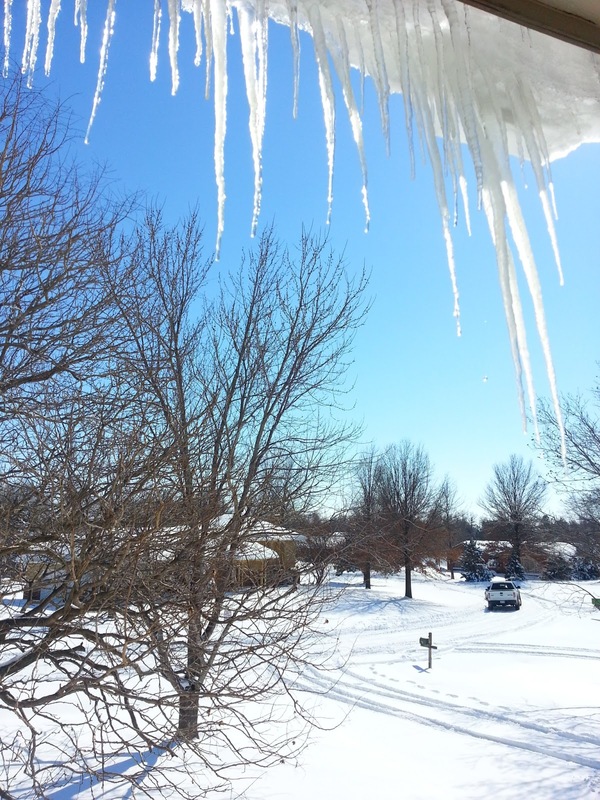 Lessons From the Icicles – He Said What?! It’s been another very mild and very dry winter here in Kansas. It’s felt and even looked more like spring than winter this year. While it’s been nice not to find ourselves maneuvering over slick roads, we do need some moisture. And boy, did we get it! A huge storm plowed into Kansas this week, leaving us in our part of the state with at least 14 inches of beautiful snow. We woke up to a world of glimmer as the sun shone brightly on the newly fallen snow. The ground is encased in a sparkly white wrap, fresh and mostly untouched in our big back yard. I also noticed another result of our massive snow storm as I looked out of our upstairs windows. There hang long rows of icicles. They have their own unique beauty, all clear and shiny like hanging crystals. No two seem to be the same shape as the once dripping water has frozen into various forms and sizes. 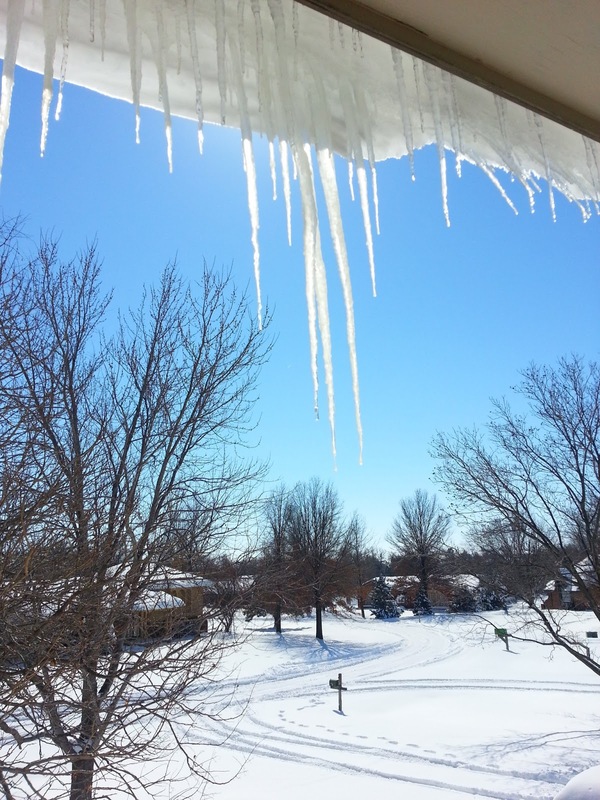 Icicles are fascinating to observe and can be very pretty when the sun is shining on them, causing them to gleam in the light. But icicles also have another aspect. They can be sharp and dangerous as well. This morning I saw that the icicles hanging on the front of our house were starting to drip. They were melting because they were facing east, where the morning sun was beating down upon them. There was not a cloud in the sky and even though the temperature was cold, the warmth of the sun was still able to reach into their icy coverings and begin the melting process. Soon I walked into another bedroom on the west side of our house, where the sun was not yet reaching. There hung another long row of icicles, still firm and cold in the shadow of the morning. The sun had not yet touched these frozen fingers of ice, so they were still solid and stiff. They didn’t really even appear as shiny and beautiful as the icicles that were being touched by the sun. These hanging jabs of ice seemed colder, even more harsh, than the icicles in the front that were warming in the sun. 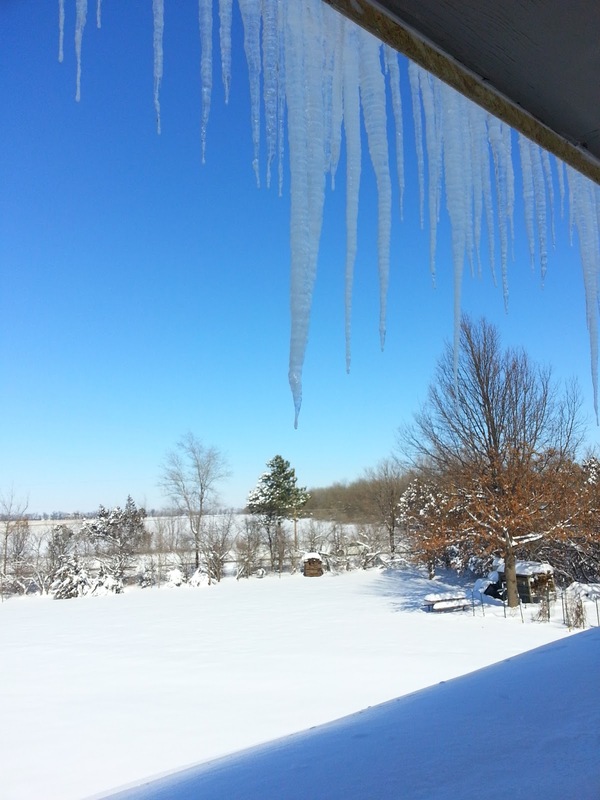 These icicles reminded me of some of the lingering results of personal storms in my life…….especially times that have involved the hurt inflicted by others. I imagine that you have had those hurts as well. We all experience that pain at some point in our lives. If we’re not careful, those wounds can develop into icy slivers of bitterness in our hearts. Where there was once the flowing warmth of relationship there is now the frozen stab of disappointment that has pierced our heart. Sometimes the situation is private and no one knows about it but us. Other times the hurt is very public and embarrassing, misunderstood and whispered about by others. The results are the same, though. The pain created by these wounds is still very intense regardless of how they occur. Solomon wrote about these matters. In Proverbs 14:10 he said, “The heart knows its own bitterness…..” No one but us knows what is in our hearts. We may appear to be fine and normal to others, but those icy shards of bitterness have frozen our hearts. We dwell on the situation and rehash the hurtful words and scenarios over and over again. Our heart knows its bitterness, so very well, and we become numb in our pain……….and numb to the other Person who also knows what is in our heart. God knows…..and He does care very much about that chill that has encased us and frozen us. In Ephesians 4:31-32, there are several sins that God tells us to put away. The first one listed is bitterness. Then God says to “……be kind to one another, tender hearted, forgiving each other…..” So how can I be kind and tender and forgiving to those that have hurt me so deeply? How can my heart be warmed again when it is so frozen with injustice and pain? Well, it’s not easy, but God tells us here that the first way to start is to remember that we are to forgive “……..just as God in Christ also has forgiven you.” How can I be unforgiving when I have been SO forgiven by God? I am forgiven……..and I must be forgiving to others. When I take this first step and realize my position in Christ, then His light will begin to thaw that immobile, cold heart of mine. Forgiveness here carries the idea of releasing. I need to constantly release to God the people and the situations that have so chilled my heart. Let Him bear my pain and let Him warm my cold heart. And if those people are still present in my life, then I am to show kindness and tenderness. Look for ways to serve, to be kind, and to be tender hearted……..not hard hearted with a frozen heart but to be tender and loving. It’s not easy, but God will enable and give grace to do what is the most difficult. Soon l will hear a dripping noise and realize that my once solid, icy heart is thawing out under the warmth of God’s love and His enabling. He won’t force me to allow His light to shine in my inner being, but if I open that door and allow Him in, then the melting will begin. Slowly but surely the damaging icicles will dissolve as I focus, not on the other person or on the pain that they have caused, but as I focus on the light of God’s forgiveness and love in my once cold heart. Shine Your light in my heart, O God, and let the melting begin! I love the blog! You are such a gifted writer that God uses to help others of us. Behind on my reading, but am glad I found time for this jewel! Thank you, Steve- as always! You write what are in so many hearts and minds —- and your insight into God’s word always makes me feel closer and even more understood and loved by Him. Thank you for sharing and caring, my sweet, forever friend!